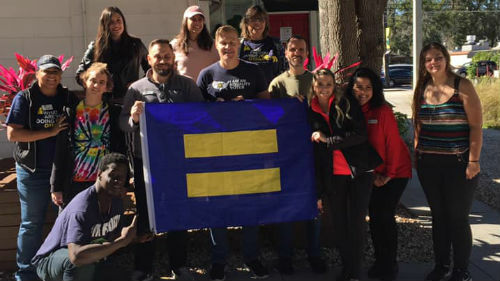 HRC celebrates the incredible work of hundreds of our volunteers, members and supporters in cities across the country, who united in service to honor the life and legacy of Dr. Martin Luther King Jr. last weekend. 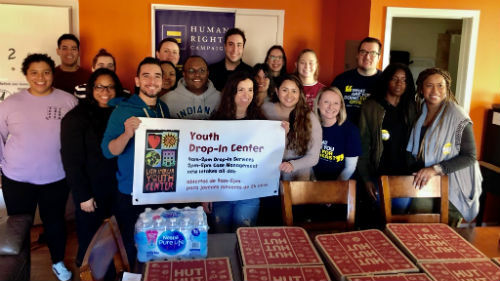 Like many engaging in service across the country, HRC hopes to transform Dr. King's teachings into action to help meet national challenges by bringing people together, and engaging and empowering communities throughout the year. 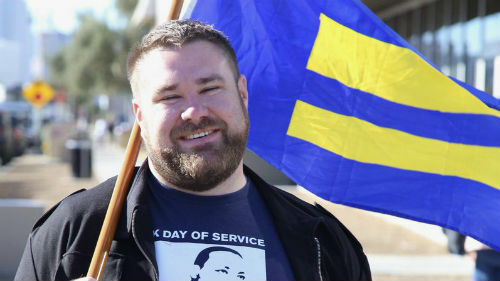 For months, volunteers around the country have been planning for HRC’s annual participation in MLK Day of Service. 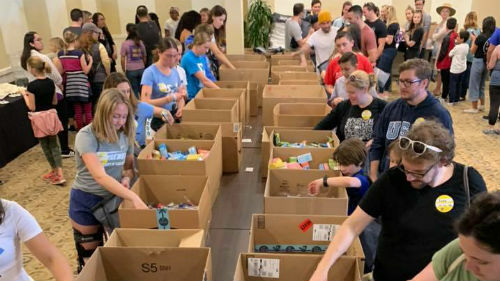 Efforts included organizing clothing and toiletries donation drives; assembling and distributing care packages of travel-size hygiene items, school supplies and winter accessories; and participating in beautification and renovation projects. This year, HRC Dallas/Ft. 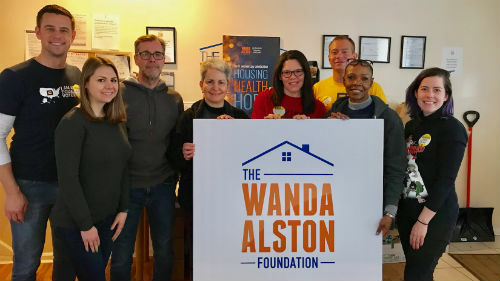 Worth worked with the Family Place, a local organization that empowers victims of domestic violence through access to safe housing, counseling and skills to foster independence and build community. 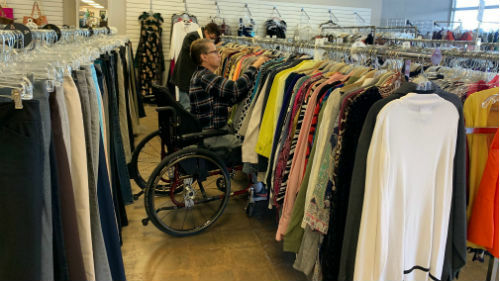 Volunteers helped the Family Place accept donations, sort merchandise, organize displays and clean up its resale shop. 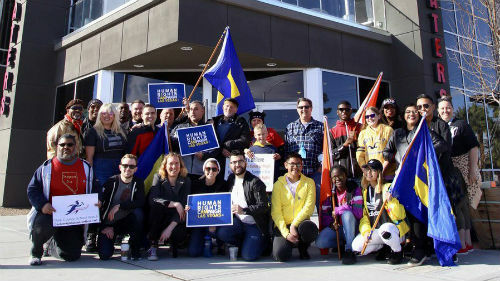 HRC members and supporters marched in Las Vegas’ annual MLK Day parade alongside CCEA Social Justice Caucus, Canyon Springs GSA and Eclipse Theaters to show their support for the LGBTQ community. 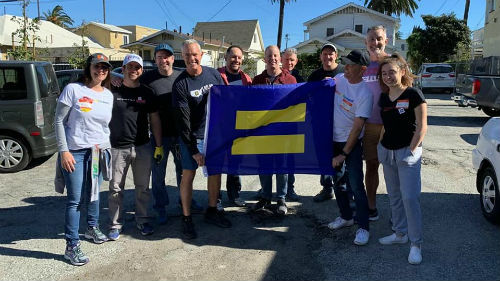 Volunteers also split their efforts between a local elementary school and a park, beautifying the grounds and collecting supplies for LGBTQ youth. 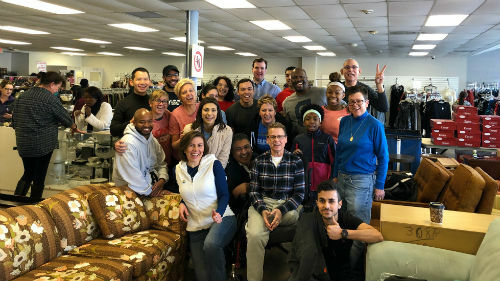 HRC Nashville volunteers packed dental kits for clients of My House, a drop-in center that provides resources and support to gay and bisexual men in Tennessee. 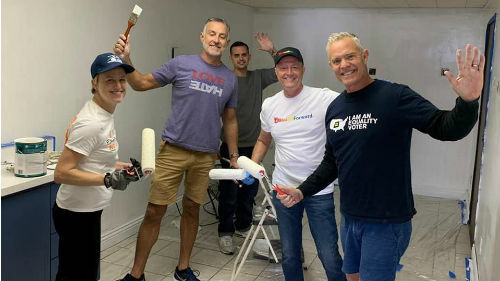 From painting and creating an office space for the Transgender Community Coalition to cooking for homeless people who are served by the Laguna Beach Friendship Shelter, HRC Orange County, Long Beach and Palm Springs volunteers were busy throughout MLK weekend. 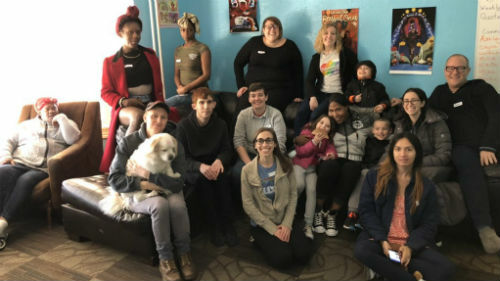 Volunteers with HRC Orlando purchased and organized cleaning kits and hosted a pizza party for the youth served by the Zebra Coalition Youth Center. 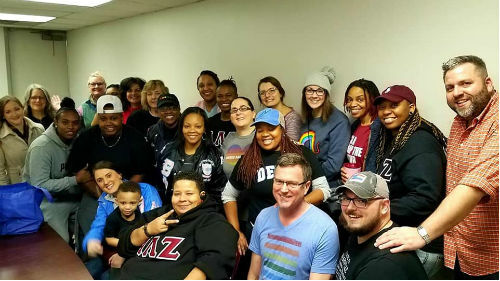 HRC Philadelphia volunteers cleaned, organized and spent time with residents of the Morris Home, a residential recovery program providing services and care for the local trans community. 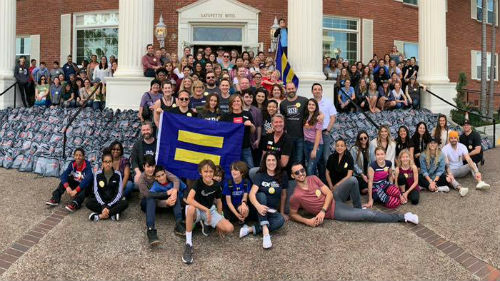 Local HRC members, volunteers and supporters came together to assemble 700 care bags for organizations including San Diego Youth Services, San Diego Unified Schools and others working to support homeless youth. 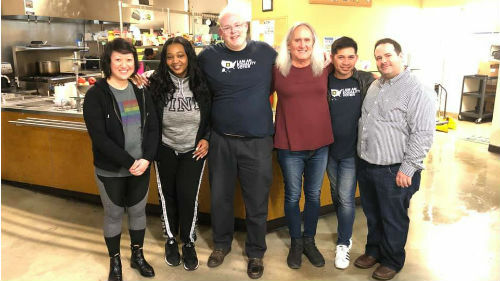 HRC Seattle volunteers prepared supply kits and served dinner for homeless youth at the Orion Center for Youth. 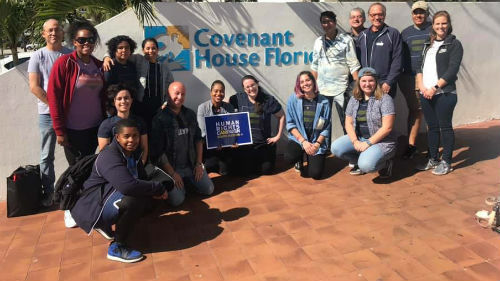 In South Florida, HRC volunteers cleaned, organized and assembled furniture and other items for Covenant House Florida, a shelter for runaway, homeless and at-risk youth. 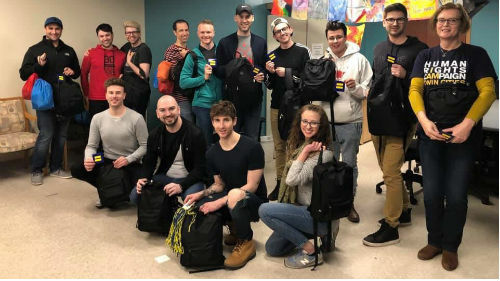 Volunteers in the Twin Cities assembled “warm item kits” for the Bridge for Youth, a local shelter that works with LGBTQ homeless youth. 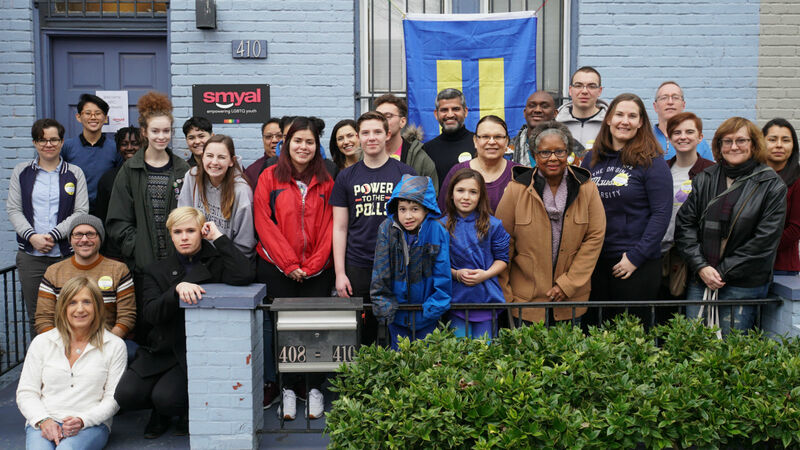 HRC Greater Washington, D.C. hosted three service projects geared toward supporting organizations that work with LGBTQ youth: cleaning the Latin American Youth Center, assembling winter kits for SYMAL and organizing the Wanda Alston House.